For the third day in a row, Dr. Falah Al-Arini continues to walk with his children from Tafila to the capital Amman on their way to the Royal Hashemite Court to demand that he be appointed in an official university. 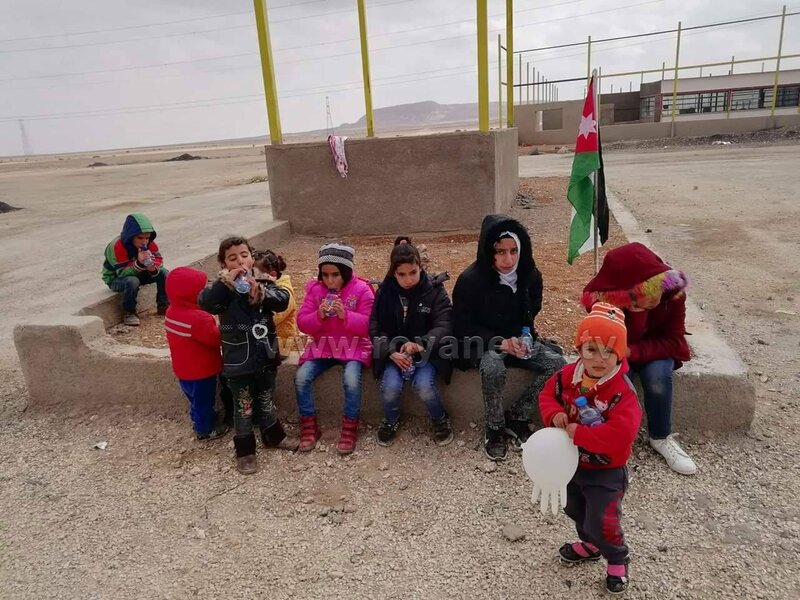 Dr. Al-Arini and his small children walked many kilometers in the cold prevailing weather to explain to His Majesty the King his situation. In a telephone interview with Roya, Dr. Al-Arini said that he wanted to meet with His Majesty for a job to support his family of 13 and that he had to camp outdoors with his children in the Al Jarf area. He added that after trying every way possible, he only had doors slammed in his face, and so decided to walk to the Royal Court to meet the King. 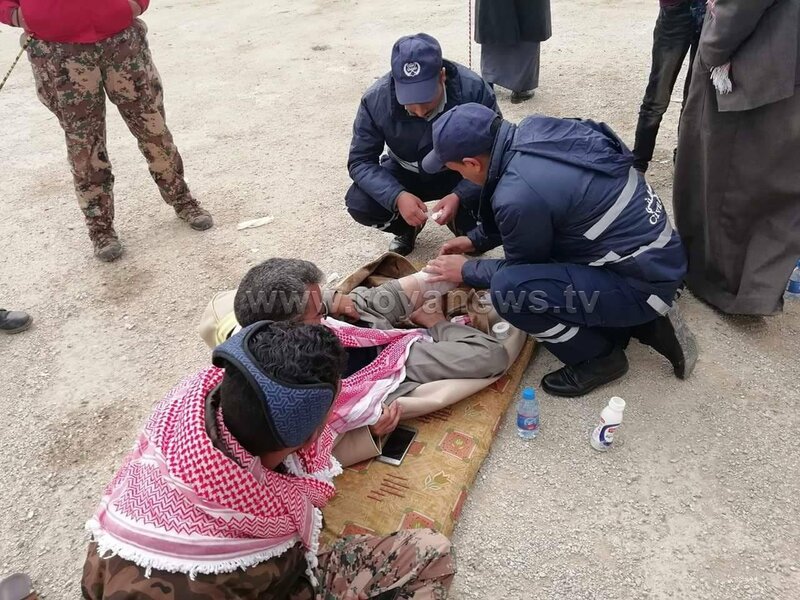 For its part, cadres of the Civil Defense did their humanitarian responsibility and provided medical and food assistance to him and his family, as well as first aid to the doctor after he had injured his foot. Al-Arini decision sparked an interactive reaction in social networking sites in sympathy to his cause, especially since his children are walking with him instead of attending school on the first day of the second semester. "Today is the start of official working hours, and the children of Al-Arini are receiving their education on the road," he wrote on his Facebook page. 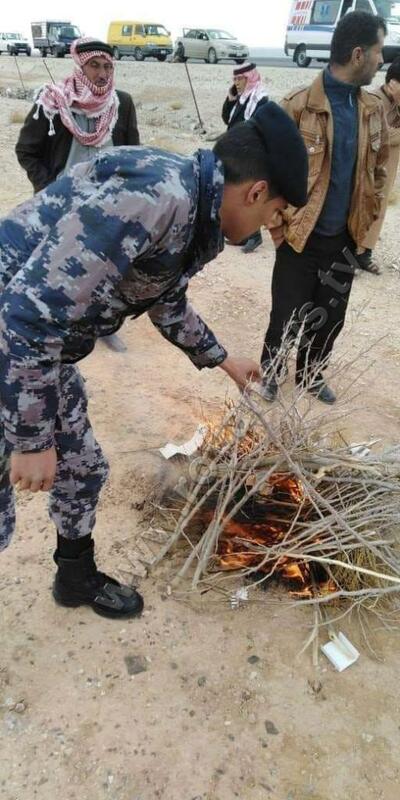 Earlier, he issued a statement saying: "I will go with the help and care of God on foot from my hometown of Gharandal in Al- Tafileh governorate, at 10:00 am on Saturday, 09-02-2019, to the Royal Hashemite Court, seeking God first, and his Majesty our King second. I have lost my rights to secure a job due to people of stature and corruption taking away the jobs. My children, five boys, and seven girls, are coming along with me. I have met with the former Minister of Education earlier but to no avail; where he blamed the universities accreditation body for my strife. After that, I headed to His Excellency the President of the accreditation body who explained to me that higher education orders exceed his powers."